The Tony McEvoy-trained Scottish Rogue is closing is on $200,000 in stakemoney after his second win at Morphettville on Saturday, April 13. The three-year-old took his earnings to $191,605 with a comfortable win in the Holdfast Insurance Handicap (1200m). Freshened after a good second in the Bendigo Guineas, Scottish Rogue ($2.30 fav) began well for jockey Barend Vorster settling second early before drawing clear to score by three-quarters of a length from Easy Beast ($4.40) with Private Lounge ($9), two lengths away third. The gelding’s record is now two wins and seven placings from 17 starts. Assistant trainer Calvin McEvoy was delighted to see the three-year-old back in the winning list. “He’s been running such good races but just being caught late,” McEvoy said. “We backed off him and ran him fresh today and he was convincing. “He was very strong through the line and it was great to see him back in the winner’s circle. 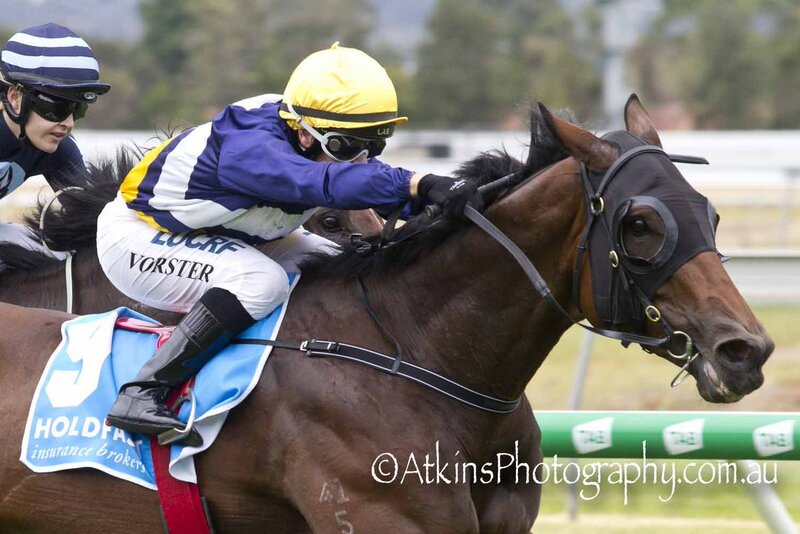 “It was very good to get another winner for First Light Racing who have been great supporters of our stable. Winning jockey Barend Vorster was impressed by the three-year-old’s win. “He’s a nice individual and I had to try and bide my time but not let it turn into a sprint,” Vorster said. “From the 600 metres I asked him to improve and he’s a nice big horse and responded well.